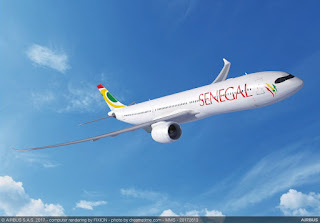 Air Sénégal, the national carrier of Senegal has signed a Memorandum of Understanding (MoU) for two A330neo aircraft, which is the new re-engined version of the best-selling A330 widebody airliner. The A330neo will benefit the airline’s growth and business expansion in the future. The agreement makes Air Sénégal the first airline in Africa to select the A330neo. The agreement was announced during a signing ceremony at the Dubai Airshow in the presence of Maimouna Ndoye Seck, Minister of Air transport and Development of Infrastructure, Senegal. Air Senegal will launch operations in 2018, the airline plans to use the A330neo to develop its medium and long-haul network with the aircraft offering cutting-edge technology along with more efficient operations. ‘’We are very pleased to welcome Air Sénégal among our A330neo customers. The A330neo offers the latest in fuel saving technologies combined with best-in-class comfort, reliability and operational efficiency. The A330 is the ideal choice for Air Sénégal to build its network and become West Africa’s fastest growing airline,’’ said John Leahy, Chief Operating Officer Customers, Airbus Commercial Aircraft. 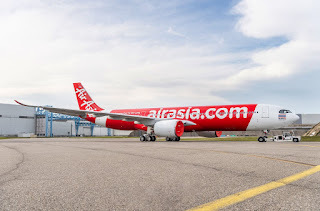 Launched in July 2014, the latest generation of Airbus’ widebody family, the A330neo builds on the A330’s proven economics, versatility and reliability while reducing fuel consumption by 25 percent per seat. Powered by the latest-generation Rolls-Royce Trent 7000 engines, offering new “Airspace” cabin amenities, and feature a new larger span wing with Sharklet wingtip devices.